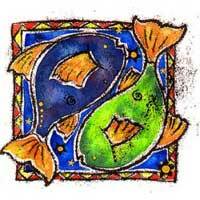 Generally, the relationship between two Pisces is favorable. You have a good life together, if both acquire the determination to turn thoughts into reality, dreams and ambition. Along with another native you experience some change and travel. You can gain an analytical view of things. Two Pisces can create products that bring joy to people's faces, and that also have useful purposes. It is an auspicious relationship.